The travel blogging community is obsessed with the term ‘digital nomad’. It pops up on every travel blog with top tips on how to be a digital nomad, why it’s so awesome being a digital nomad, a typical day in the life of a digital nomad and why everyone should quit their jobs to be a digital nomad. I’ve got to admit, being a digital nomad is pretty flipping awesome and I did it myself for nearly a year – back in the days when I don’t even think the term existed. I worked as a copywriter while travelling around SE Asia and it was a great way to earn money while I travelled. It came with frustrations such as being unable to find wifi or missing out on great experiences as I buried my head in my laptop while my friends went scuba diving or to an all-night beach party. I often found myself wondering if I’d be better off working hard at home and then 100% relaxing and enjoying myself while I travelled. I returned home and got that all important journalism qualification that taught me next to nothing, got a job and got some life experience under my belt and thought that maybe one day I’d return to the digital nomad lifestyle. When I quit my job to be a travel blogger I had the option to be a digital nomad again. I left London and I found myself attending fewer networking events and fewer face-to-face meetings, so being UK based wasn’t a priority. I didn’t really need to be based anywhere – so why didn’t I choose the digital nomad lifestyle? It crossed my mind. In fact, it did more than cross my mind, I thought about it for a long time. I was living in a travel blogger bubble where most of my friends were travel bloggers or worked in the travel industry and everyone was aspiring to be a digital nomad. But I chose to have a house and a car and a dog and a baby and all the normal things digital nomads tell us we shouldn’t want because they get in the way with travelling. But I have them and I love them. Admittedly, I don’t have a huge house or a flashy car and that’s because I’d rather save my money for travelling. I also have fabulous in-laws who look after my dog while I travel and my baby boy is still little enough to be flown around the world without really realizing what’s going on. I love the fact I travel a lot for my blog. I love the excitement of planning my next trip and the anticipation as the date approaches. I like to pull my suitcase out from under the bed and carefully pack my clothes and plan my itinerary for while I’m away. And I love being away from my regular routine and doing something different every day and exploring new places. Then after a week or two I crave the normalcy of home. I want to work at my desk where I have a big screen, a comfy chair and all of my gadgets around me. I want to sleep in my bed and wake up with my fiance. I love having a dog and taking him for long walks. I like making dinner in my kitchen and having my friends round whenever I want. I like having a local pub where I know all the staff and they know what I drink. I like being able to drop in at my parents house whenever I want and meet my friends for after-work drinks. I even like having a gym membership! When I travel I often schedule in a few extra days in my destination just to work. It sounds weird being on holiday to work but I love it. Working in a different location, enjoying some sunshine, eating out for every meal and getting inspiration from the world around me is the highlight of my job. But I don’t want to do it everyday. I even considered being a digital nomad because I thought it would make a better blog. People would rather read about a young woman travelling the world then a young woman who takes the odd holiday and then has a very normal life in Wales, right? The main feedback I get from my readers is that they love the fact they can relate to my travel schedule. I take a couple of big trips a year and then fill the remainder of the year with weekenders and short trips. This is what most people do and this is what most people want to read about! I love reading about 6-month jaunts to South America but, realistically, when am I ever going to do that!? 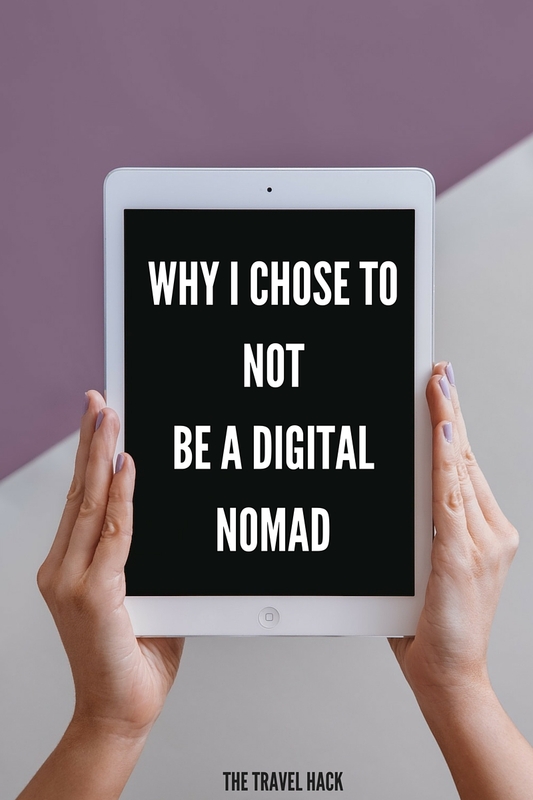 So this post is for all the people who keep reading about digital nomads and thinking, ‘That sounds kinda cool but am I weird for not wanting it for myself?’ No, you’re not weird. But if you are, I am too! I love having a job that allows me to work flexible hours and work from anywhere in the world. But I also love having a job that allows me to buy a house and live a ‘normal life’ when I feel like it. 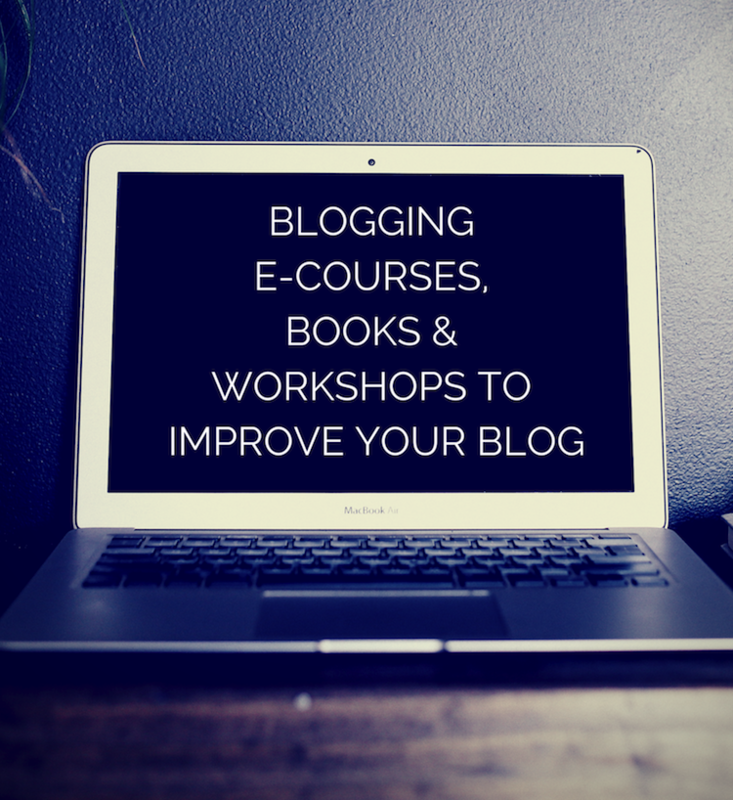 If you’re interested in becoming a full time blogger, you might be interested in an e-course I’m launching about taking your blog to the next level and turning it into a full time income. The course is launching in May and you can join us on Facebook for regular updates. This is such a great post – it’s like you’re reading my mind. I love travel. But I also love my job, my husband, my daughter, having my friends near me, my home… What works for me is the balance. My job does link with my travel, which is fantastic, and my daughter comes along for the ride (for now) but I’m not sure I ever felt the urge to travel very long-term, even when I had fewer ties (although admittedly there weren’t as many digital nomads then!). For every day that I feel that bubble of excitement hopping on a plane or exploring a new place or enjoying a fantastic destination, I think I need a day waking up in my own bed, not having to live out of a suitcase, knowing there’ll be wifi to work. I agree that although it fascinates me reading about digital nomads or people’s incredible round-the-world trips, for most people, travel is one part of their life. So it’s easier to relate and perhaps even more inspiring to see how people fit their trips around the everyday for anyone who can’t or doesn’t want to leave it all behind. I absolutely love this post. I feel the exact same way. I started my blog for the people who work full time and only take a couple trips a year if that. I wanted to showcase that you can have a full-time job and discover several new countries a year if you just plan it right. However, sometimes I feel like a phoney. I don’t know why or where it comes from but sometimes I think, am I being the best blogger I can be by only travelling a couple of times a year? Who knows. I would love to be a digital nomad but at the same time, I love my life at home. My fiance doesn’t have a career that he can pick up and do from anywhere unfortunately so it would be a matter of moving to a new country permanently — which could happen, who knows! What a great post! I just stumbled on your blog a few weeks ago and I am truly in love, this hits very close to home as well. I’d love to drop everything and be a digital nomad but at the same time, I enjoy my friends and family and local community and want to settle down one day. All about balance! Amen. Amen. Amen. That’s all I’ve got. Amen! I’ve been musing on this more and more as I’ve started investing time a bit more on my travel/beauty blog, and seeing quite a few other travel bloggers who fall into the digital nomad category. At first flush, it seems so appealing- go wherever, blog wherever, have adventure. And I think for a lot of people that lifestyle totally works for them. But I have a long-term partner, I have an apartment I actually love in an area I really love, and I do like sort of having it both ways- taking a few weeks out of the year for travel and weekends for mini-trips, but also have a home life as well. It honestly feels refreshing to read posts like this because I wondered if feeling like this was going to make me less interesting on the travel side of thing. I completely relate to this post! As much as I love travelling, I enjoy the downtime in between trips–and its that time that makes me excited for the next trip. I like having a bed and home to call my own, and I’m okay with that. Thanks for a great post – I really enjoyed reading it! Nice post Monica. Of course, not everyone is cut out to be a digital nomad, just like not everyone is cut out to be a lawyer, a doctor, or a construction worker. The world is full of variety and choices, and everyone should decide what is right for them and then do it, despite what the peanut gallery or their fellow bloggers say. I appreciate that you tried being a full time traveler and decided that right now, it isn’t what you want. Then again, you can always change your mind, sell your house and stuff and get back on the road. Nothing is really ever written in stone, despite the fact that sometimes decisions seem permanent. Since you have been-there-done-that, you can speak from experience and give all the folks that feel like they “should” do this or that, permission to be themselves. Bravo! Thank you so much for this post! It was a delight to read and very inspiring to see that you can have the joys of travel but still enjoy a home life too. 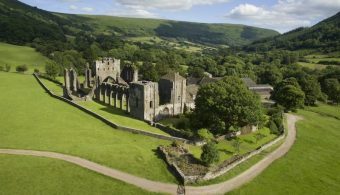 As a recent graduate I’m now in my first full time role and am thoroughly enjoying planning (and experiencing) weekenders and short breaks, but still being able to return home afterwards. It’s also great to read as I desperately want a dog and am constantly being told I can’t have a dog and travel, despite knowing plenty of people who would willingly look after it! I can totally relate to this. I feel so lucky to have so much travel in my life, but I also value being near my family and my friends. I have a full-time job that I love too and it’s compatible with my travel blogging — I don’t feel that I need to change any of that. You’ve clearly worked out what you value and built a career and lifestyle around it, which is a rare and impressive feat. It’s something that everyone should aim for, but keeping in mind that the end results are going to look different depending on their individual wants and needs. I always think the digital nomad life *sounds* awesome, but in reality when Andy and I have tried it for short periods of time (2-5 months) it hasn’t worked out so well. I can look back and point to the things we should’ve done differently to make it better and more enjoyable, but in the end, I think it just isn’t for us. I like having a stable home, comfortable bed, good kitchen, etc. I like knowing my way around the city I live in, instead of constantly having to get to know a new place again. I do get itchy when I haven’t traveled in awhile, but I’m not sure I could ever give up having a home indefinitely. This article pretty much sums up my life (well, apart from the fact that I’m single and childless!) My job would make it very easy to be a digital nomad but I know I would find it way too stressful. I like having an exercise routine, going to dance classes every week and seeing my family on a regular basis. I try to combine work trips with something fun and will soon be taking advantage of being freelance to take an extended trip. Most people can’t or don’t want to travel permanently, so it’s great to read blogs that encourage their readers to take regular, short trips! I can totally relate Monica! I used to think that I might want a digital nomad lifestyle, but I’ve realised that’s not for me. I love to travel but I also love being at home, around my family and friends! Glad you found the balance that you sought between career and travel. Most people will either do one or the other, but not both and then they end up burning out over the long run. It’s great to be able to experience different lifestyles and choose what works best. At the moment I enjoy spending some months home and some months traveling. Sounds like the best of both worlds! I have the opposite opinion. I have no partner, no dog and no house. 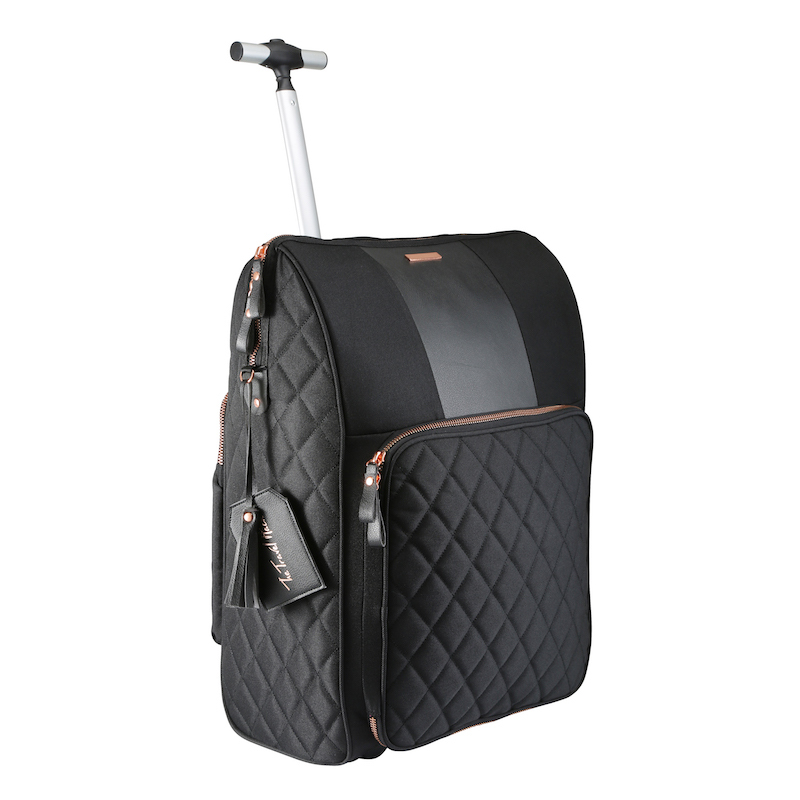 I’m 5 star homeless and I live out of a backpack. I do have a profession though so I can have the higher paid 9-5, wash the car on a Sunday life if I want it but the thought scares me ha. Each to their own I suppose! It does not make you a better blogger though, I read your blog sometimes when it comes up in the results for what I am searching and I couldnt care if you were a DN or any other other kind of traveler. If I find what I am searching for and its written well then I will read it! Oh no, I definitely don’t think having a home base makes me a better blogger. I think a good blogger is a good blogger no matter where they live or what they do! But my audience are more the kind of people to take holidays rather than 2 year adventures so I feel it works well for my personal life and my blog. I love your articles..I want to become a digital nomad and but yeah these lines above have already got me thinking whether is it a good option or not. I love my normal life and it could be possible that continuous wandering become boring after sometimes as its not at all easy to adjust with odd conditions. Looking forward to exchange some experiences with you as already joined you on Facebook. It’s worth trying. You could try being a digital nomad for a few months and if you don’t like it you don’t need to stick with it. There’s only one way to find out if it’s for you! There are now a zillion different types of ‘digital nomads’ out there. The term doesn’t really mean anything any more – or rather, it means too many things. In another ten or fifteen years, half the world might be freelancing. I work as a Jet-setting Copywriter, which in my case means I work from home about 7 months year, have two months exploring remote wilderness rivers and do some ‘normal’ vacations and a spot of ‘digital nomading’ the other three months. My freelance writing funds all my overseas adventures, and although I have a home base in Australia, I could easily take off for months (or years) with my location-independent business if I chose to. The amount of money I make from my writing business allows me to travel anywhere I want, whenever I want, for as long as I want. Does that make me a part-time digital nomad, a writer who travels or a traveler who writes? Our self-descriptors are always going to be inadequate – I call myself a globe-trotting writer rather than a digital nomad, but the truth is, I (like so many others) are a combination of different ‘labels’ – we don’t really fit into any single ‘digital nomad’ category. I’m glad you found your own balance. Personally, I change of city every 4 to 6 months, living as a digital nomad, but trying to connect each time with locals and deeply meet people. It’s very interesting. This is exactly the post that I have been looking for to reaffirm my longing to have a home/base with family and friends around me, and the chance to travel every few months. I also do 2 big trips and a couple of long weekend trips in a year. And I’m not embarrassed to say that I still prefer my own couch, TV, bed and my Malaysian food! Thanks for sharing this post ? cheers!